The stars of the main page are arranged vertically by their colors (from blue to red) and temperatures (from about 50,000 Kelvin to under 3000 Kelvin) according to their spectral classes. Go to the table to see how class, temperature, and color relate to one another. The stars are then arranged horizontally according to their luminosity classes, that is, according to whether they are main sequence "dwarfs", giants, subgiants (which fall between the dwarfs and giants), supergiants, or bright giants (which fall between the giants and the supergiants). With one known exception, class L is a mixture of low mass dwarfs and brown dwarfs, while T stars are all brown dwarfs. If the components of a double or multiple star are significant and highlighted in the star's story, each is listed seperately. Carbon stars, class C, for which carbon exceeds oxygen in abundance, and class S, for which they are about equal, are listed at the end of the main table. Each star in the table is introduced by its MKK class, which consists of its decimalized letter class (in which the broad classes are subdivided 0 [zero] through 9 from warmest to coolest) followed by a Roman numeral that gives the luminosity: I through V for supergiant, bright giant, giant, subgiant, and dwarf. Ia supergiants are more luminous than Ib supergiants; "0" ("zero") as a luminosity class stands for "hypergiant," a star more luminous than a supergiant. Hypergiants are included with Ia supergiants. Stars with "p" for peculiar or "m" for "metallic line" cannot be simply classified. Brown dwarfs are referred to as "BD," while "pms" indicates a not-quite-stabilized "pre-main sequence" star (a "protostar". Separate tables at the end list white dwarfs, neutron stars, black holes, and various kinds of variable stars. You can find many of these stars on this classic HR diagram. B and A dwarfs are very common among the bright stars of the naked-eye sky, whereas O dwarfs are relatively rare. B and even O supergiants show up, but A supergiants are rare indeed. As temperature goes down from O to M (blue to red), the stars of the table shift more to the right. K dwarfs are few, and there are no M dwarfs at all that are not faint components of double stars. 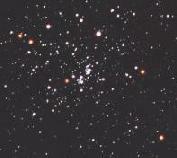 The only naked-eye M stars are giants and supergiants. This distribution is counter to the true numbers. The most common kinds of stars are M dwarfs. They are just so faint that none occupy the naked-eye sky. Though A and B dwarfs are truly not all that common, they are bright and can be seen far away, so there seem to be many of them. O stars are exceedingly rare, but can be seen over great distances, their apparent number all out of proportion to their true population. The end result is that most naked eye stars are much more luminous than the Sun. The following tables list stars alphabetically (followed by lettered variable star names and then Flamsteed numbers) within their variable star classes: Cepheids, Miras, semi-regulars, irregulars, eruptive and other strange variables, Beta Cephei stars, Slowly Pulsating B Stars, Delta Scuti stars, Gamma Doradus stars, flare stars, eclipsing binaries, and ellipsoidal variables (tidally distorted binaries). Descriptions can be found both in The Natures of the Stars and/or in the stories of the individual stars. Miras, semi- regulars, and irregulars overlap to some degree, and it is not always clear into which category a specific star may fall. See their locations on the HR diagram. Copyright © James B. Kaler, all rights reserved. These contents are the property of the author and may not be reproduced in whole or in part without the author's consent except in fair use for educational purposes. Opening photo of Chi Persei by Mark Killion. Welcome to visitor number .